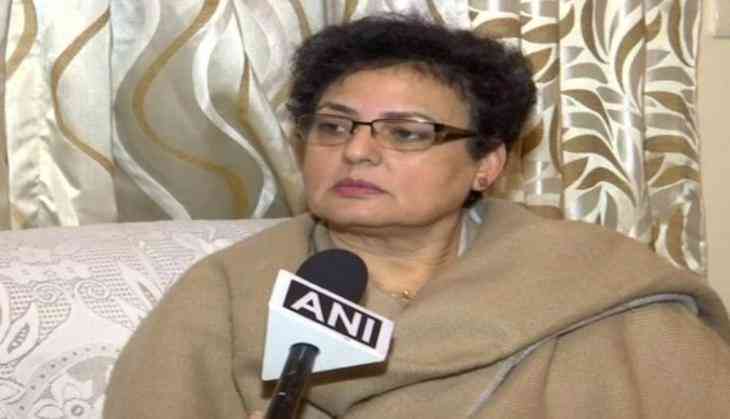 National Commission of Women's (NCW) acting president Rekha Sharma on 16 December welcomed the Cabinet's approval of a Bill to make instant triple talaq or talaq-e-biddat a criminal offence. "We fought because we were getting complaints regarding this. We welcome this move by the Cabinet. I also would like to add that any welfare scheme or policy should not be based on religion. The law should be common for everyone. This move is for the betterment of our society. I want triple talaq to be abolished all together," she told ANI. The bill termed as the 'Muslim Women (Protection of Rights on Marriage) Bill, 2017' seeks to criminalise the practice of instant divorce in Islam. Cleared earlier yesterday, it will now be introduced in the winter session of Parliament. The Supreme Court, in August, had passed the order terming the practice of instant triple talaq (divorce) as "unconstitutional." Despite the order, there have been sporadic incidents of husbands calling off their marriages through phones or messages or by uttering the word 'talaq' thrice. Now since the law has been framed to make triple talaq an offence, the victims will have the option of approaching the police and legal system for the redressal of their grievances and for the action to be taken against the husband.